The MA Documentary course has really helped me to figure out what I want to do after university as well as allowing me to further develop the skills needed to get there. "I decided to further my education at Nottingham Trent University (NTU) because I found a passion for making documentaries when I was on the undergraduate Journalism course. 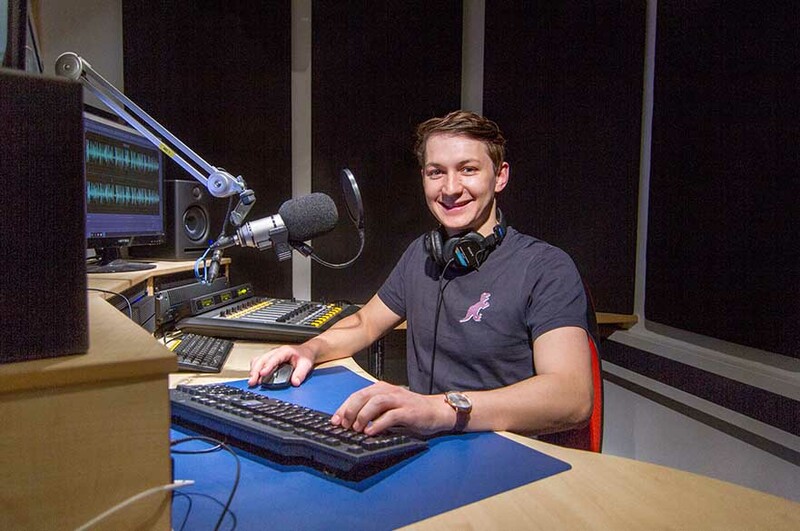 The three years that I spent in and around the Centre for Broadcasting & Journalism (CBJ) gave me further justification for staying on at NTU. The lectures, the facilities and the university in general are in my opinion world-class." "I knew what to expect in regards to the teaching staff, the facilities and the equipment. The course is unique and the lead tutor is an award winning documentary producer. This along with the 25% alumni discount and the scholarships available justified my decision to continue at NTU." "I really enjoy the hands on tasks we have to do, especially the freedom to create content that is relevant to my interests. That along with the industry experts who come into guest lecture us is enjoyable." "The lectures, tutors, administrators and technical staff in and around CBJ are superb, nothing is left unanswered and they always strive to help with any problems we might have. The tech staff are especially brilliant because they are always imparting their knowledge to us as they help to fine tune any projects that may be on the go." "The facilities in CBJ are fantastic! We have a huge newsroom dedicated to journalism students with a few radio studios, a couple soundproof voice-recording rooms, a state of the art television studio and gallery and work stations that all have the latest software on them. These facilities have helped me to develop my skills on a daily basis." "Quite simply because you could not ask for a better place to prepare yourself for life after university." "I think it is going to help me out down the line more than I can imagine. My previous three years at CBJ really helped me to discover and learn a variety of skills needed for the outside world but this master’s degree has given me the opportunity to hone in on a handful of these skills." "By looking into which universities were at the top of their fields and NTU was always there." "Winning the Vice-Chancellor's Award in my final year of my BA." How does studying MA Documentary Journalism differ from your undergraduate studies? "The MA Documentary course has really helped me to figure out what I want to do after university as well as allowing me to further develop the skills needed to get there."